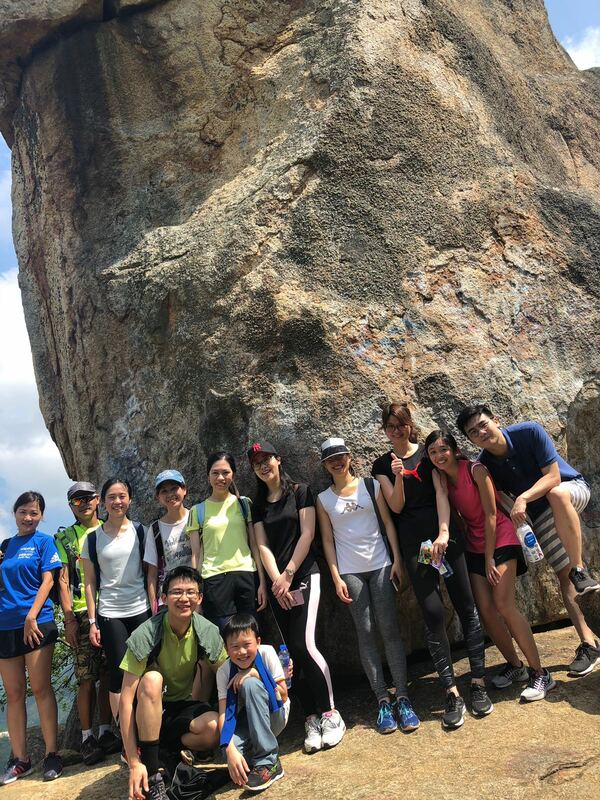 In spite of the scorching Summer heat, a hiking team formed by partners, associates, current and ex-trainees alike explored the Lion Rock (獅子山) in June 2018. The hiking trip began at Tai Wai via Amah Rock (望夫石), a local attraction which looks like a woman carrying a baby on her back. According to local myth, the Rock was turned from a wife climbing up the hill with her baby every day to watch over the Tolo Harbour waiting for the return of her husband. The second stop was the Lion Rock which looks like a lion crouching on the top of the mountain. The team went all the way up to the lion’s head. From there, the view embraces the entire Kowloon Peninsula and the northern coastline of Hong Kong Island. We could even see Jardine House in Central, where our office is located. The journey was concluded by a "Yam Cha" in a restaurant in Diamond Hill.